Want a Better Chance Of Actually Winning the Lottery? Lottery syndicates are hands down the best way to improve your chances of winning. The internet is full of all sorts of daft ideas about predicting lottery numbers and analysing past results. But the truth is the only real way to beat the odds, is to buy more tickets. If you buy 2 tickets you double your chances. If you buy 50 tickets, you get 50 times the chance of winning. Simple. But buying 50 or 100 tickets all by yourself is expensive. Too expensive. And that’s why playing in a lottery syndicate just makes sense. Instead of paying all the money yourself, you join forces and share the costs. Yes, you have to share the winnings. But it’s far better to have a smaller share of a jackpot prize, than a whole share of nothing. And a good one will be careful to balance the size of the group with the size of the jackpot. To ensure when you do win, that you still get a very satisfying lump of cash. So How Do You Find a Good One? 1. Ask family and friends if they play in a group that you could join. 2. 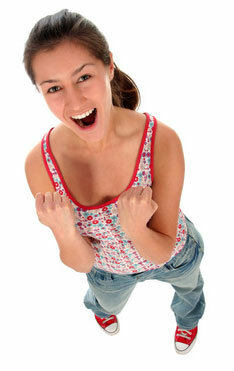 Read my reviews of the best online lottery syndicates. Obviously it’s no good joining with friends or co-workers if they aren’t playing the game you want to play! Or if the group is too small. Or the organiser too disorganised. And that’s why the online syndicates exist. Which is great because it gives you a whole range of extra choices of games to play. We focus mainly on the UK based games here, so if you want a EuroMillions syndicate or a UK Lotto syndicate then this is the place to find it. What About Starting My Own Group? That’s certainly possible, but don’t underestimate the workload. If you’ve ever tried this you know what I mean. It takes a lot of time to collect money, buy tickets, pay out winnings and deal with all those niggly little queries. Then there’s the headache of people leaving and joining. So long as they are good at running it. I’ve seen a lot of small one-man operators start and close in a very short space of time – simply because they didn’t realise how much work it would take. The upside is the amateur route is definitely cheaper (or should be!). But you have to weigh that up against reliability, motivation, being able to contact someone if you have a query, and just a general feeling of reassurance. That comfort level differs from person to person, and I can’t tell you exactly which is right for you. All I can do is to tell you which I think are the best for players in the UK by providing detailed syndicate reviews here. So get stuck in to find the right group for you. And if you have any questions about a review or anything else lottery related, you can always get in touch with me. Here it is, my Top of the Pops comparison of the best lottery syndicates online. A lot of effort has gone into researching and comparing these syndicates including sneaky ‘undercover’ discussions with the owners, and joining and playing with the better ones (if they are clearly rubbish I don’t even join them!). Aren’t All Online Syndicates The Same? Yes pretty much all syndicates work in the same way – that is, they pool their money, buy lots of tickets and share the winnings. But there are lots of variables here. And they make a big difference to determining the top syndicates. You need to think about whether you want a professional syndicate running as a business, or are happy with an amateur managing the group in their spare time. Then you need to consider the cost of playing, how many tickets are played, what the odds of the game itself are, and how big each group is. Alternatively, you can just read my review instead, as these are all the criteria I look at when I assess a syndicate and rate it.